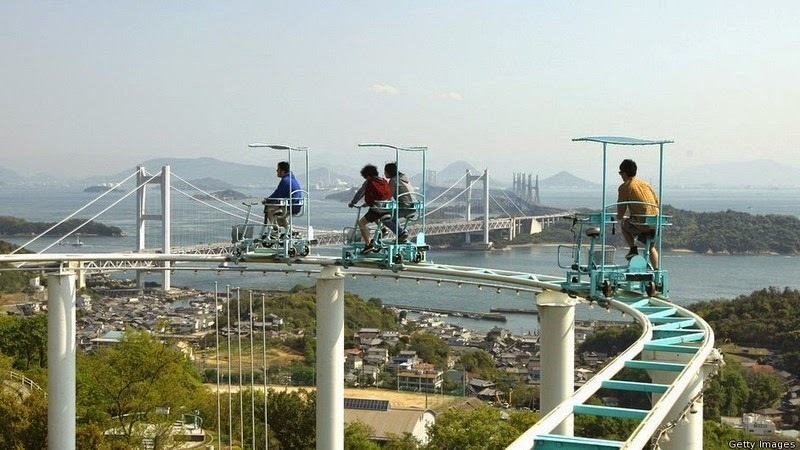 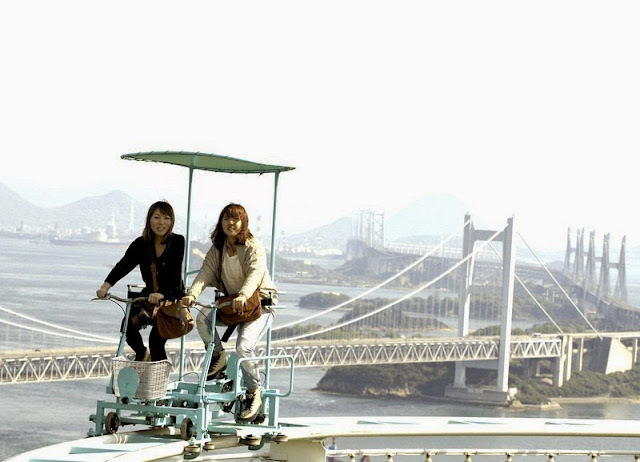 Located in Washuzan Highland Amusement Park in Okayama city in Japan, the Sky Cycle is a pedal-powered roller coaster that requires riders to pedal all the way around, rather than just sit back and enjoy. The roller coaster is built over a hilly terrain and consists of a pair of elevated rails. 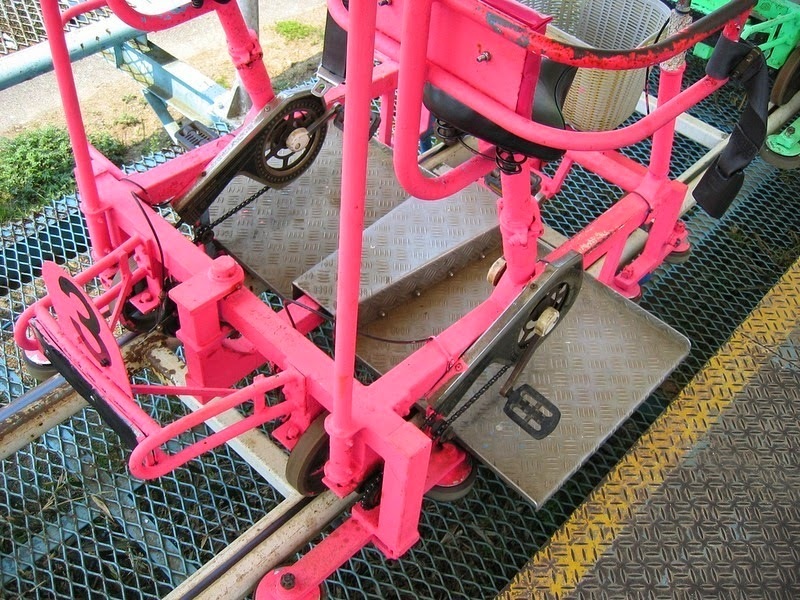 The carts that ride the roller coaster looks like side by side tandem bikes, with baskets in the front for storing belongings, and brakes just like in a real bicycle. 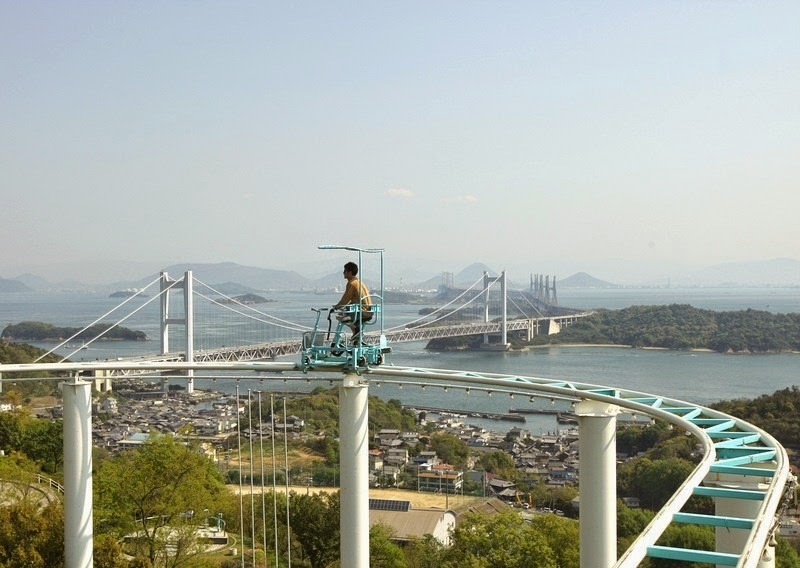 While there are no loops and spectacular drops, riding the Sky Cycle will still send your heart racing. 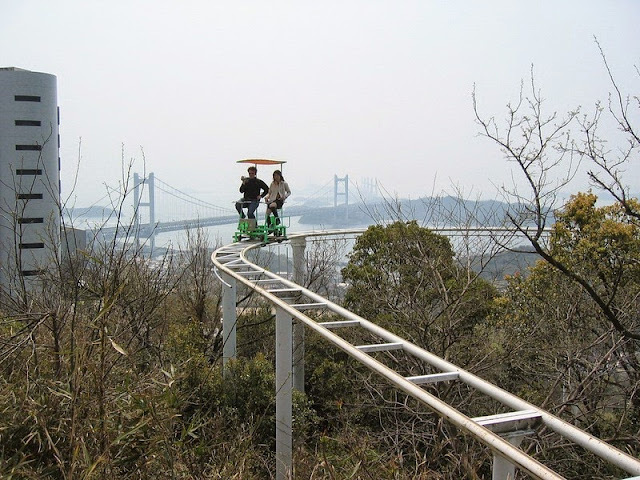 The rails are located four stories above the ground. The carts are open and there are no guard rails either. 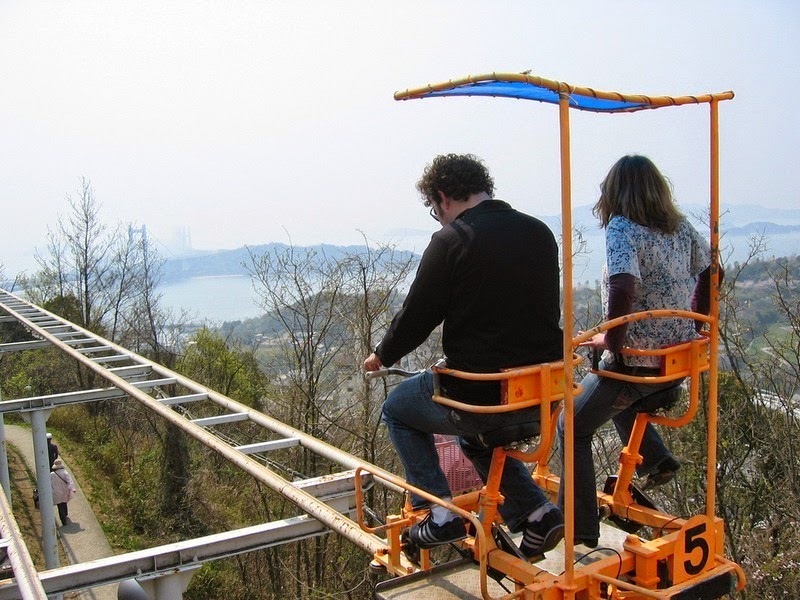 Aside from a simple seat belt, there is little to ensure that riders do not fall off their seat and to certain death below. 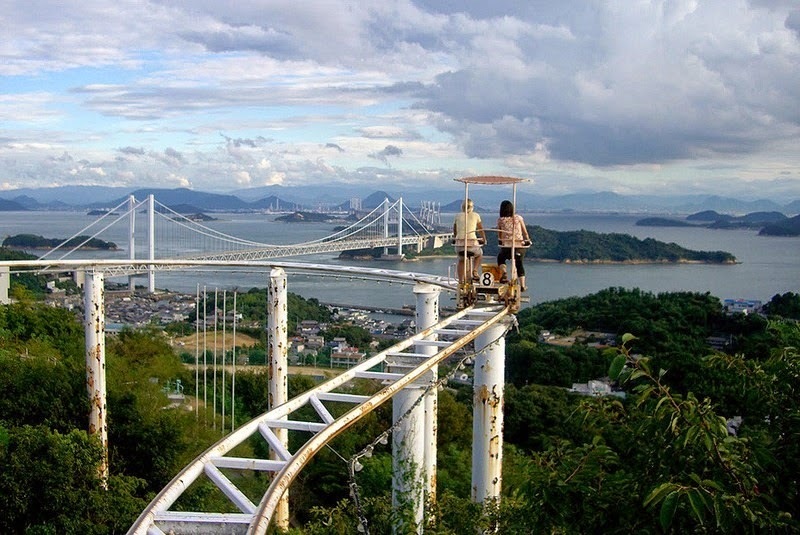 The view of the Shimotsui-Seto Bridge in the background is spectacular though.